Huge interior and load space. More legroom in the back than a Mercedes-Benz S-Class. Clever touches throughout. Well specified as standard and great value for money. Visibility at the rear can be a bit restricted. Usual hesitation from DSG auto. Columbus navigation prone to failure. 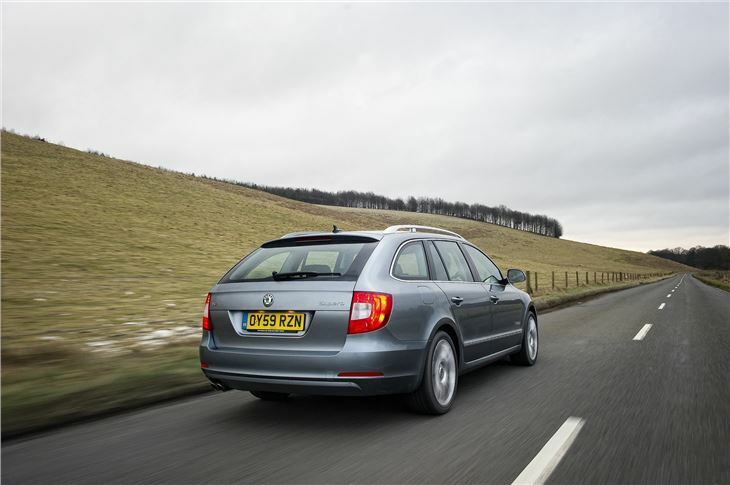 Occasional judder reported when moving off in 35k mile 2012 Skoda Superb Automatic Petrol Estate has recently occurred. 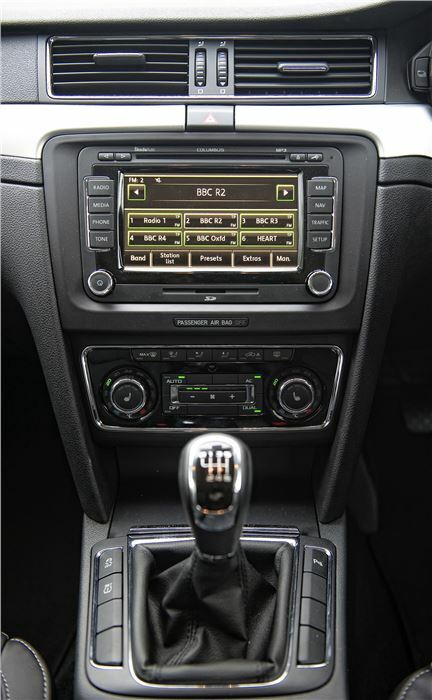 It has the 7 speed DSG gearbox. The Superb Estate is a class act. 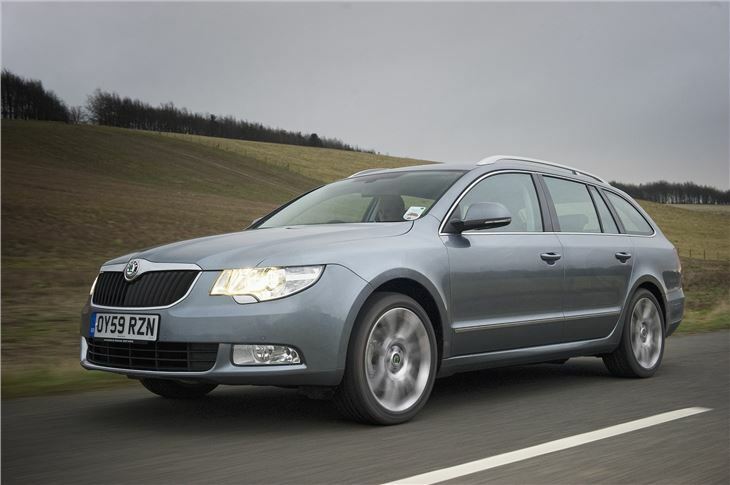 It's the off-beat alternative to the likes of the Vauxhall Insignia Sports Tourer and Volvo V70. The big story is that it's big on load space. 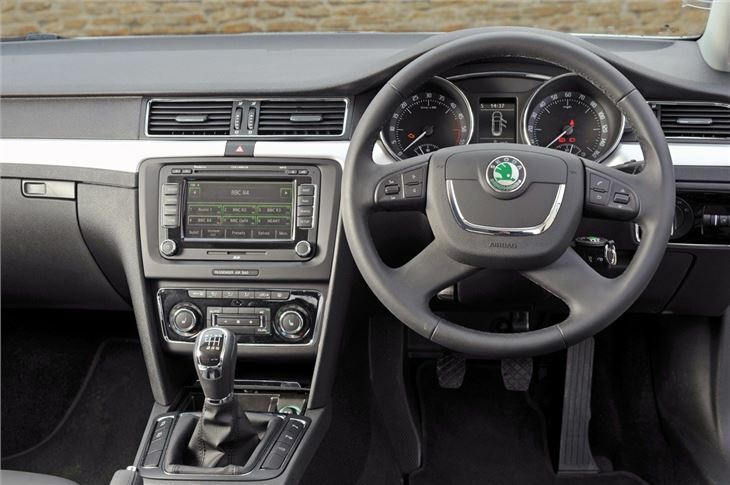 Whether it's seats up or seats down, there's more room on offer than both the Vauxhall and Volvo. And, for that matter a Toyota Avensis, Ford Mondeo, Mazda 6, Renault Laguna ... almost anything else on sale in fact. It's more than just a roomy holdall, though, as it's packed with features that not only make life easier, but mark the Superb apart from more household names. 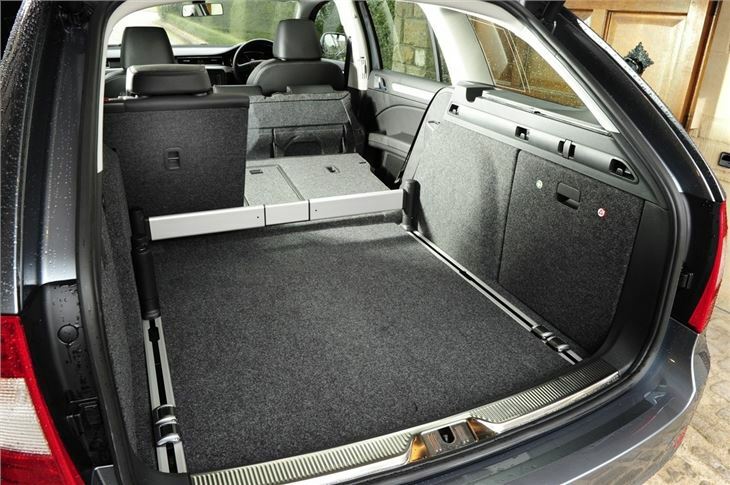 That means more legroom in the back than a Mercedes-Benz S-Class, an optional electric tailgate that can be set to open at different heights, a self-parking system and even a rechargeable torch with a magnetic back so it can be attached to the car's body if needed. And it remains one of only two cars to offer an umbrella concealed within the door - the other is the Rolls-Royce Phantom. 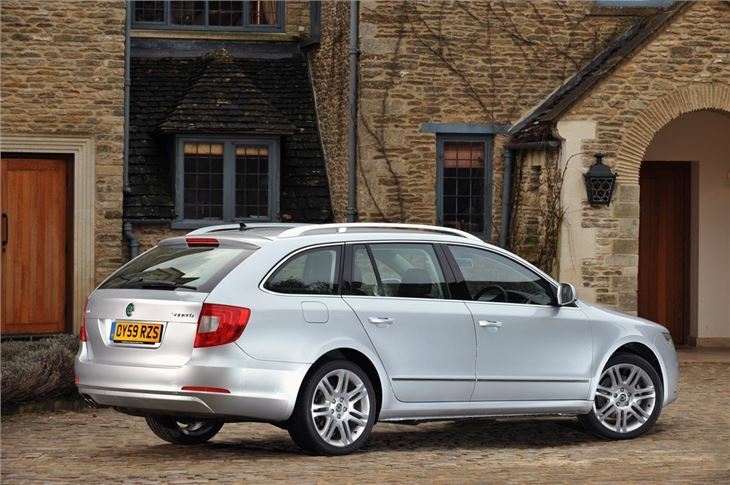 Add to that Volkswagen Group engines and attractive list prices and it's easy to see why the Superb Estate makes sense as a practical and value-packed family car. In fact, it's pretty much faultless. Splendid car with great stature and character. Brilliant example of good quality sensibly priced car.